ALLGAIER has been a trusted name in process equipment solutions for the past 50 years. Our technology has been successfully proven across numerous applications including drying and cooling, screening and sizing, optical sorting, washing, and densimetric separation. Allgaier’s presence in the minerals, aggregates, recycling, frac sand, chemical, and pet food and feed industries is a testament that you can truly Do It ALL with Allgaier. Allgaier continues to manufacture and develop drum dryers/coolers based on the Mozer system, which has earned a worldwide reputation as a high-quality, high-performance drying and cooling system. The custom nature of the drums, which are always sized and manufactured to meet specific application parameters, ensures that the dryer/cooler system can be used for an extremely broad range of applications with throughputs ranging from 1 t/h to over 350 t/h. 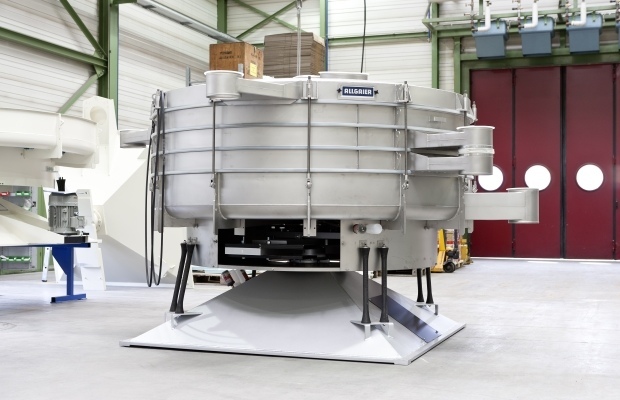 The intensive transfer of mass and heat inside the drums contributes to an extremely efficient drying/cooling process. Allgaier drum dryers/coolers can be found in virtually any industrial sector. These systems are especially well-suited to the needs of the minerals, chemical, fertilizer, and recycling industries. Drum dryers/coolers are available as single-shell, double-shell, or triple-shell drums. Their design and sizing ensure high capacities in compact spaces and special-purpose designs can be used to combine other process steps with drying. As a complement to our complete line of dryer technologies, including drum dryers and fluid bed dryers, Allgaier’s Rolling Bed Dryer combines the advantages of traditional drum dryers and fluid bed dryers while mitigating some of the material handling limitations and inherent risks of material combustion. The Rolling Bed Dryer outperforms other drying technologies in applications that contain irregularly shaped organic and waste materials. Wood chips, green waste, sugar beet pulp, bagasse, fruit marc and others such as domestic waste or paper industry residues are some of the materials that can be dried at lower, more constant temperatures. The CD Dryer is an emerging technology provides more drying surface area for suspension and solution applications that comparable contact dryers. This results in better energy efficiency in a smaller equipment footprint. In addition to producing dry materials from liquids, solutions can be partially vaporized thereby increasing the concentration of the liquid. The CD Dryer is an effective alternative to upright thin film evaporators. Vapors are removed with as high water vapor concentration resulting in low thermal energy loss in the dryer exhaust air. Allgaier tumbler screening machines are well-suited to the fine and extremely fine screening of dry bulk materials and precise grading with up to seven particle sizes using up to six screen decks. Our screens are gentle on the material being screened and have a grading accuracy of up to 99%. Throughputs can reach up to 40 t/h. Tumbling motion can be adjusted in a continuously variable manner with RATEX system and some models include internal seals that are gas-tight up to 50 mPa. The Allgaier tumbler screening system features a range of customization options designed to meet extremely demanding application requirements. These options include balls, air, brushes, ultrasound, and various combinations being of these options are available to prevent blinding and maintain efficient screening. Allgaier’s Mogensen sizers are a powerful and flexible screening machine with linear vibration movement that enables efficient screening. The modular construction allows simple, cost-effective implementation into any process. 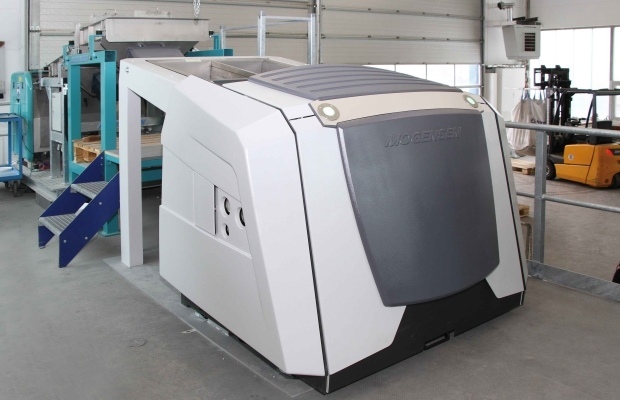 This machine handles large material capacity within a small footprint. Maintenance is simple with very easy and quick screen cloth changes. The sizer operates with low power requirements while maintaining high screening efficiency. Our Mogensen sizers are operationally reliable. We have several clients that have been using our Mogensen sizers in operation for over 30 years. The development of the dry densimetric separation table had its origin in the mineral industry for the enrichment of minerals. Now, Allgaier’s densimetric separation technology has been transferred to other industries and activities such as recycling plants for waste, chemicals, wood and foodstuffs. Our tables excel in municipal solid waste (MSW), glass recycling, and compost applications. Densimetric tables are used in separation of products with a high density and grain size up to 80 mm. The MSort OPT is a cost-effective solution used to sort any bulk materials that can be clearly classified based on their color, transparency, shape, or size. The system reliably detects even the slightest variations in color based on specifically defined sorting parameters. An optimized image processing system allows high material throughput while maintaining extremely accurate detection and sorting with minimized errors. The Mogensen MSort has a long service life due to optimized extraction, automatic cleaning, and lighting and compressed air components. With their heavy-duty design, the machines are mechanically and electrically suitable for use in harsh conditions like mining industry applications. 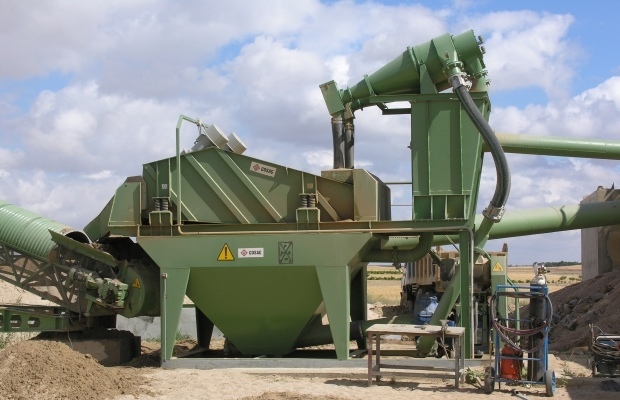 Allgaier Mogensen sand washing units are designed to extract sand following application-specific parameters such as grain size, fineness, modulus, cleanliness, friability and the content of unacceptable elements (organic material, chloride, sulfate, etc.). These units are used to treat sand for use in concrete as well as other industrial sands, bentonite slurries and other minerals. 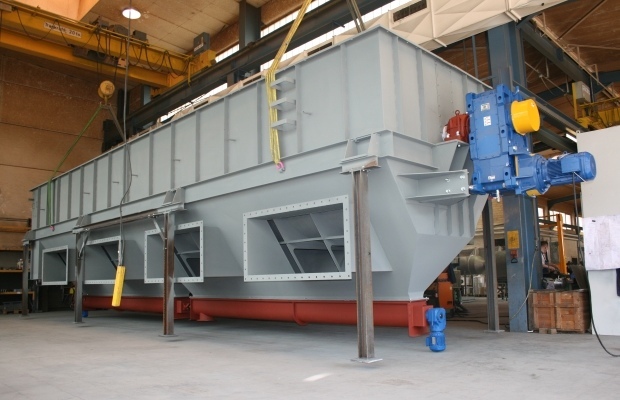 A sand washing machine with a hydrocyclone is the best way to obtain high quality sand. In addition to sand washing units, Allgaier also provides desanders, dewatering screens, and clarifiers.